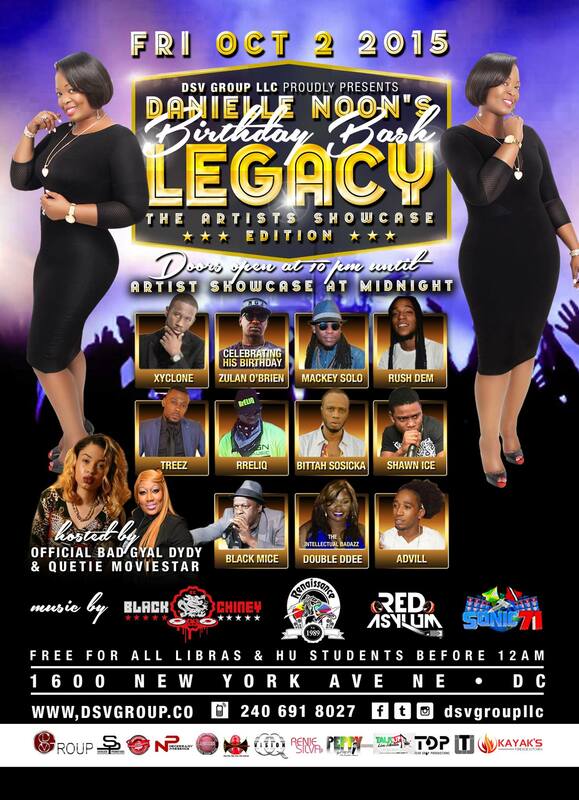 Legacy 2015 – DSV Group Elevates Corp.
DSV Group Presents Danielle Noon’s Birthday Bash Legacy – The Artists Showcase Edition! $1000 Scholarship to be awarded by nonprofit organization www.dsvgroupelevates.org on October 2, 2015 to a 17-27 year old student or entrepreneur who submits a 1000 word essay by September 1st to daniellenoon1@gmail.com. Essay Requirements: Critical examination of the state of nonprofit organizations. Explain the positive and negative aspects of donating to an unknown (not nationally advertised) agency and your personal recommendation for mandates to regulate the industry. A brief description of the author and their future professional plans. Participants must be 17-27 years old to enter. Attendance at the event is not mandatory to win. All entries will be evaluated based on originality, grammar, and style. 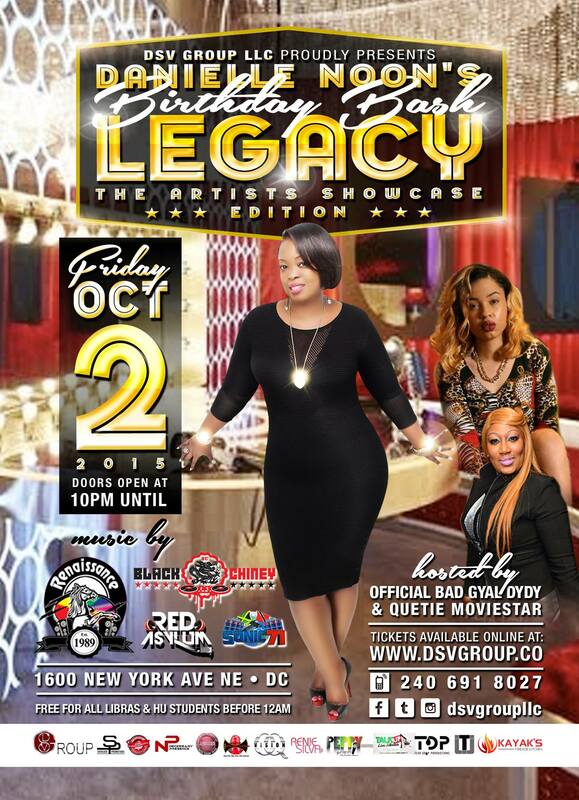 To purchase tickets to this event or to make a donation to support our efforts, please click the Legacy Ticket link above or call us to become a sponsor at 240.691.8027 so that you, too, can be on your road to glory! We want to see more college students and self-sufficient individuals in our community. Powered by dsvgroupelevates.org, #dsvgroupllc, #sherlockpromotions, #members, and all #supporters!